If sports is at the top of your entertainment list, Kodi can be among your greatest allies. 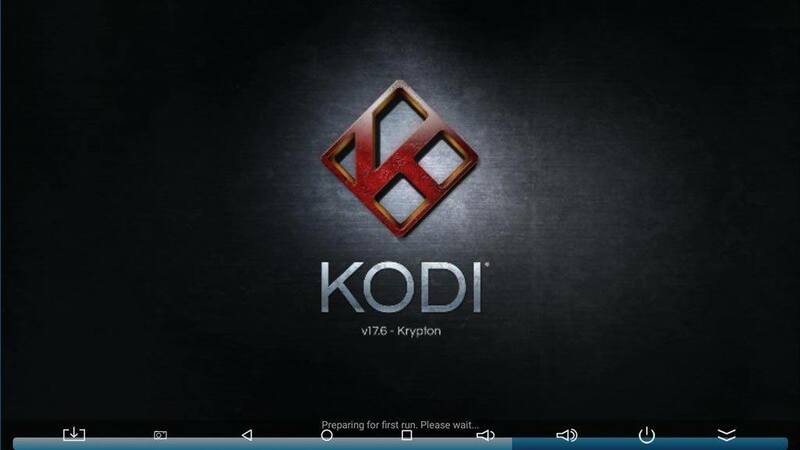 Here are 10 of the best Kodi sports addons available. All of them are sanctioned by Kodi, so you won’t risk legal trouble by downloading. Try one or give them all a go! One of the best Kodi sports addons for motocross and supercross enthusiasts, AMA Pro Racing offers a mixture of live and archived races. You can watch full-length events, live-streamed races, and all the best highlights. Content is neatly organized by Moto Cross, Full Motos on Demand, Super Cross, and Videos on Demand. This ESPN Kodi addon lets you watch full, live-streaming sporting events as well as replays. If you like football, baseball, soccer, cricket, or basketball, you’re going to want to get this addon. You don’t have to have a cable subscription to watch this ESPN content on Kodi, but you do need to have a free account with ESPN.com. Once you have installed the addon, you’ll have easy, instant access to everything that ESPN 3 puts online, including recaps, commentary, game highlights, and more. Football? Baseball? Basketball? Take your pick! Fox Sports GO streams lots of live games and shows, so you don’t miss a beat when you’re on the go. You need to subscribe to a US-based cable provider to authenticate and access the content provided. Once you’ve activated your account, you’ll find yourself enjoying premium sports content wherever you happen to be. Note that you need to use a VPN to access Fox Sports GO when you travel outside the US. If you love baseball, then you’re going to find yourself addicted to MLB.TV. As the best Kodi sports addon for baseball fans, it gives you front row passes to live streaming out-of-market, regular season games. The newest version features the ability to toggle into catch-up mode in case you missed part of the game. There’s more. The MLB.TV Kodi addon features a fantastic interface that features recaps and highlights, full games, and other content. Everything is neatly sorted by date so you can find exactly what you’re looking for. You do need an MLB.tv account to access some of the content, but there are plenty of freebies on hand for those who would rather not sign up with MLB. Also Read: Best VPN for Kodi Android box? Protect yourself online! You need a subscription to the NBA International League Pass for this addon to work, but once you’ve got it installed, you’ll enjoy instant access to premium NBA content. The NBA League Pass Kodi addon offers livestreaming, along with archived games, condensed games, highlights, top plays, and more. You can get full access to previous seasons beginning with 2012/2013, as well. If you love basketball, this Kodi addon is going to be your new best friend. If you want reliable, high-quality video from licensed streaming sources, then NBC Sports Live Extra is going to be one of your favorite sports addons for Kodi. This fantastic addon continually streams a variety of sports from your favorite teams across the US. While it is completely legitimate (but at no cost to you), NBC Sports Live Extra works best with a VPN, particularly if you are traveling outside the United States. Want awesome football news, replays, and other entertaining football-related content? This NFL Kodi addon is free and legal. While the NFL.com addon doesn’t stream games, it’s outstanding for quick updates about what’s happening in the world of football. Feeling cheap? Don’t want to pay to watch sports? Look no further! The Red Bull TV Kodi addon brings extreme sports right to your device. Live events, adventure videos, and other exciting entertainment rounds out Red Bull Tv’s offerings. It’s safe to say that this is one of the most addictive addons available. Also known as Rogers Sportsnet Now, this Canadian streaming service is among the best sports addons for Kodi. It covers live sporting events including ice hockey, baseball, basketball, and American football. Sportsnet Now is available to viewers with valid Sportsnet subscriptions. It is geo-restricted to Canadian viewers. The good news is that you can get around geo-restrictions with a VPN. Want motor sports? Enjoy combat-style sports? TuffTV is a free, Kodi-sanctioned addon that provides an entertaining blend of automotive sports and other entertainment designed to appeal to an audience that enjoys “tough” stuff. The TuffTV Kodi addon offers some movies, team sports, and outdoors content as well. Whether you’re paying for your content or looking for free access to some of the best Kodi sports addons available, it’s a very good idea to get a VPN like IPVAnish. Not only will you have access to geo-blocked content and blacked out games this way, you’ll also protect yourself from throttling and other common problems Kodi users face. Enjoy!